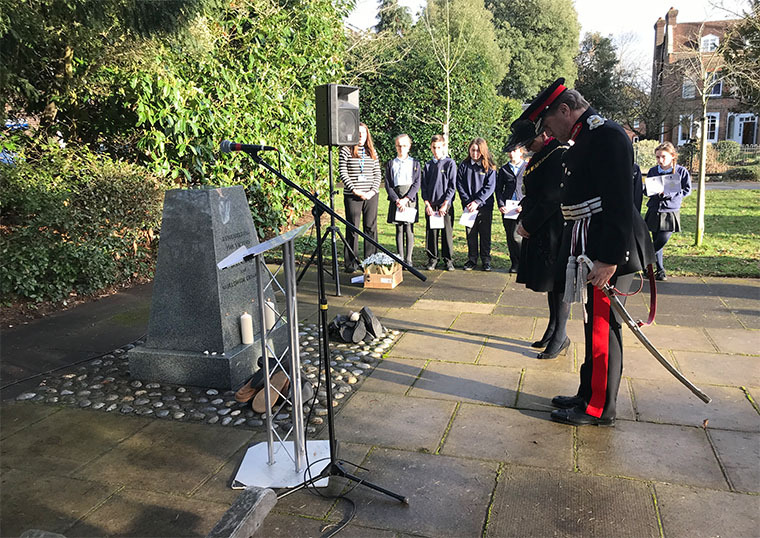 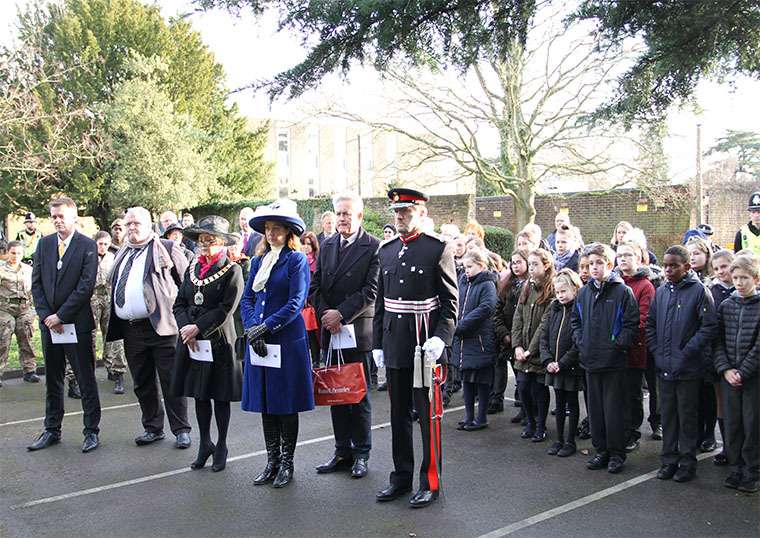 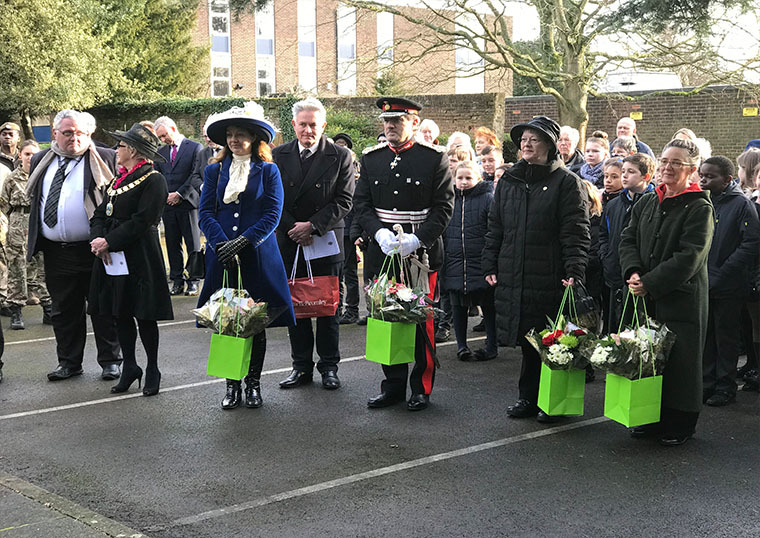 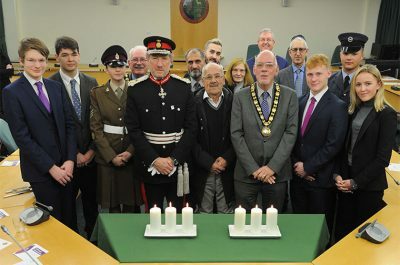 on 25th January 2019, A Holocaust Memorial Day Event was held at Broxbourne which was well attended by the local people. 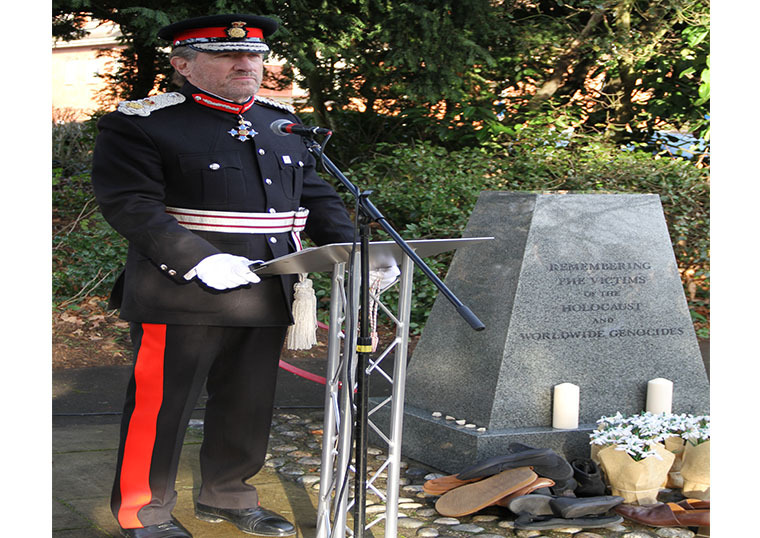 The Lord Lieutenant Robert Voss CBE gave a reading and and an account of his families suffering. 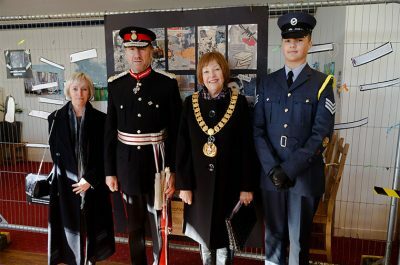 Also in attendance were High Sheriff Suzy Harvey, Dr. Sarah Coffey DL, and Dame Clare Bertschinger DL.